"Designers don’t understand what I want." My friend Emily is an extremely talented graphic designer. Earlier this year she was emailed by a new client the day after she’d presented her first concepts for the logo for their new PR company. The email thanked Emily for her time and informed her they didn’t want to take it any further, they were going to try another designer as they didn’t feel Emily had really “got” them. None of the five concepts were really what they wanted. Emily was quite taken aback. In over 20 years of designing she had never had a client walk out on a job. So she did the right thing: she swallowed her pride and offered to meet with the clients to discuss exactly what it was they really wanted and to start from scratch. Trying to make sense of it all, she showed me the client’s brief and her designs. The brief was a list of ten words they felt described what their business represented. Ten words! That was their entire brief. It’s no wonder they felt Emily hadn’t understood what they had wanted; they hadn’t clearly told her. When clients feel that designers don’t really understand what they want, it’s generally down to one of two things. 1. The client herself doesn’t know what she really wants. She just knows she wants a brochure, or a website, or a logo and that’s as far as she’s thought it through. Although this might not sound like your problem, it is. You’re going to need to help your client figure out exactly what it is that they want before you start the project. 2. The client has not briefed the designer properly. Again, this is something you are going to have to take responsibility for if your client doesn’t or can’t. (They may never have briefed anyone before and don’t even know how to.) You have to ensure you have enough information from them to get started and to do the job properly. How to avoid it - Get a very clear brief. A list of 10 words in an email is not an adequate brief. It takes a little bit of time at the start of the design process, but it is well worth it to invest the time to work with your client on a very clear brief. Make sure they have a copy of the brief and have agreed to it. With a clear brief in place right at the start of the process, you’ll both have a precise understanding of what you are being asked to create and your client won’t feel that you just don’t understand what they want. Wireframe, UX, nav, copy, vector, offset proof, bleed, die-cut. It’s likely you use some of these words every day without giving them a second thought. But for a client who has never had to work on a website project or doesn’t work with a graphic designer very often, they’re baffling. There is no reason they would have the slightest idea of what any of those words mean. I have been in meetings as a client where I have felt like everyone else was speaking in a different language. Sometimes in these meetings I would feel comfortable enough to ask the designers to explain what they were talking about. Other times I felt too intimidated and embarrassed and I would leave the meetings feeling bewildered (and with a list of terms discreetly written down to Google later). You may not mean to, but using what to you is everyday language can have the effect of making clients feel like they’re stupid. Even worse, they might feel humiliated because they can’t keep up with the conversation. This one is really simple to avoid – just talk to clients in the same way you would if you were taking to your grandparents. When you can’t avoid using industry terms, then explain what they mean. Show what you mean if you can (for example, show them what a wireframe looks like and explain what it is for, or show them an example of an offset proof and tell them why you use it). If their eyes seem to be glazing over or they seem distracted, it might pay to check that your client really does understand what you mean before you move on. "Designers don't listen to me or do what I ask." Several years ago I inherited an e-commerce project when I started a new job. It was with a web company I had worked with before on an almost identical project. I knew exactly what needed to be done and what pitfalls we needed to avoid. The site went live with three of the eight requested changes still not actioned. There were quite serious consequences for us to going live without those changes implemented. I was furious. Let me tell you, if you want to seriously annoy your clients, ignoring what they’ve asked you to do is the most effective way to do it. My example is an extreme one, but unfortunately I can think of too many times that my feedback to designers has been ignored without any explanation. 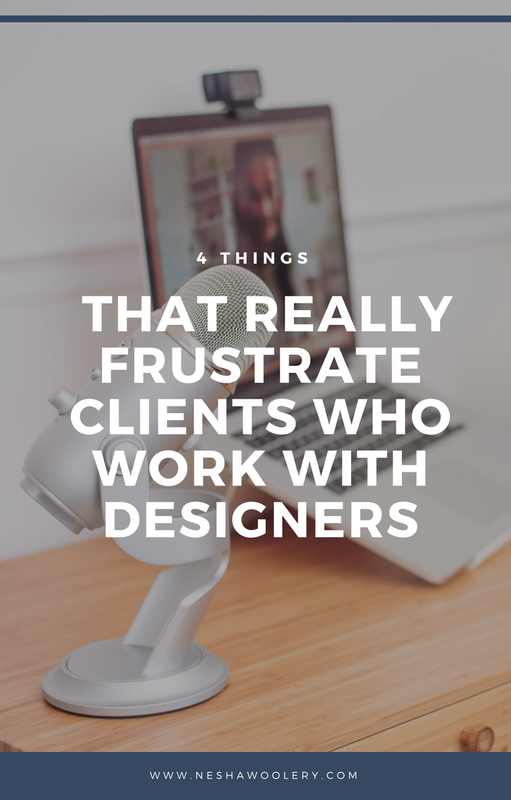 Now I am on the other side of the client-designer relationship, I understand that sometimes the client’s feedback and requests can’t be actioned. Perhaps they’re beyond the agreed scope, maybe the request contradicts the client’s own brand guidelines, sometimes what the client wants either just looks terrible or simply won’t work. If a client asks for something, you’ve essentially got two choices – you either do it, or you don’t. If you can do it (or a version of it), then great. If you choose not to do it, then make sure you tell them why. Don’t let them think that you’ve simply ignored them, or make them have to repeatedly follow up. Your job is to make sure the client understands why you’re not actioning their request. A friend of mine decided to start a children’s clothing business. She wanted to do things properly, so she hired a graphic designer friend to create a logo for her. It took a lot of iterations, but she loved the end result. Then, when the very generously discounted invoice came, she refused to pay it. She complained to me, saying “I’m not paying $250 for just a couple of circles and some typing”. Or my new personal favourite, heard from a new website client just last week - ‘I’m getting my hairdresser’s boyfriend to do my logo because he’s quite arty’. If you have clients who haven’t had much experience hiring designers, then they are going to look at your price and grasp for a way to figure out whether your price is low or high or somewhere in between. They might ask on a Facebook group what other people have paid for their logos. They’ll probably weigh it up against the cost of their own products. Or they might look at it in light of other things they have to pay for and try and equate, for example, a new website with three months’ rent, or a business card design with a meal in a fancy restaurant. People don’t want to pay good money for anything if they’re not convinced it’s worth it. It’s human nature. You have to face facts: some people are never going to appreciate that good design is an investment, not a cost. You have to let those people ask their children to design their logos and their friend’s son to build their website. Wish them well, because they may just want to hire you later to fix up the mess. How to avoid it - Show them you’re worth it. Do great work. Ensure you keep your portfolio up-to-date, and review it regularly to make sure you are showcasing your very best work. Use facts and numbers where you can. It’s really powerful to be able to tell prospective clients, for example, about your client who increased their web traffic by 135% in one month after you redesigned their website or who achieved 23% response rate to the flyer you designed for them. Try and figure out what kind of results are important to that potential client, and frame the benefits of your design to address that. This is one of my favourites. It’s simple but works incredibly well. Present a past client’s tired old logo next to your new design. Take a screenshot of a client’s cluttered old home page and place it next to a screenshot of your gorgeous new one. I headline these images from this…to this. A visual representation of poor or dated design alongside good design can be a great way of showing exactly why good design is worth paying for. Please don’t take it to heart if you get turned down occasionally for jobs because you are too expensive – especially if others are prepared to pay your prices. You won’t always be aware of what is going on with your client. I have been in the uncomfortable position of having to reject designers’ proposals when I knew they would have done an amazing job. Often it was due to new budget constraints. Once, I even had to drop a favourite designer and use an unsuitable one simply because my boss met a designer at his son’s karate class and decided that as he was a nice guy he should get the job! A rejection is not always anything to do with you or your work. There’s one common thread that joins all four frustrations: communication. Your client needs to communicate to you what they want (even if you have to help them identify what that is). If you can communicate with your client openly, honestly and responsively, you’ll be helping your client to have a positive experience. Just don’t forget to ditch the designer-speak! 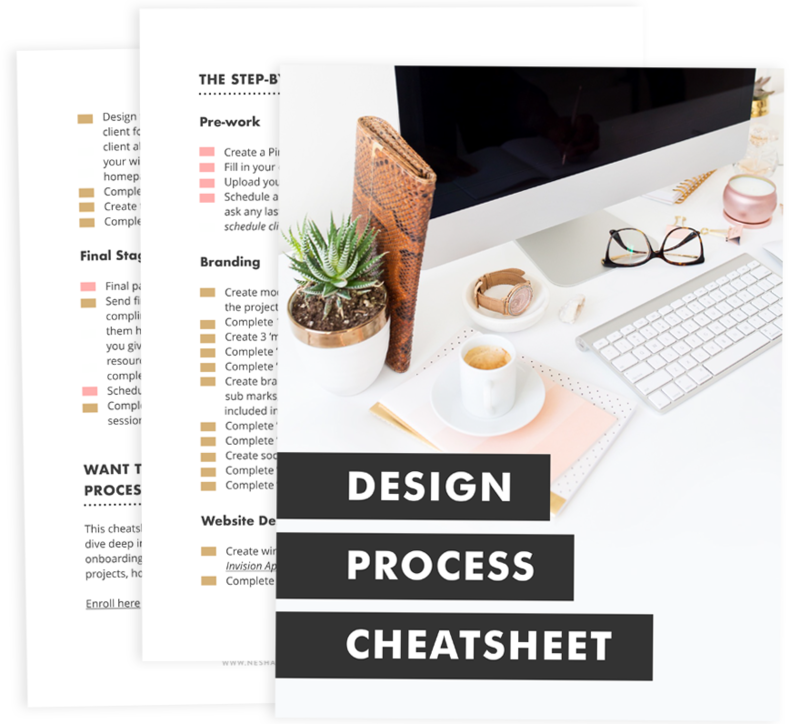 Join my free course below to learn how to use a project management tool to communicate with your clients! With a project management tool, you can stop emailing your clients and losing track of attachments and feedback. Instead, your entire project will be neatly organized on one page. Kathryn McGarvey makes it easy for small businesses and creatives to get smart websites. She combines 15 years of marketing experience, strong technical skills and the knowledge of what it’s like to be a client of web and design agencies to make the whole process of getting a great online presence unintimidating and stress-free. She lives with her family in the middle of wine country in New Zealand and is lucky enough to see the sea every day.